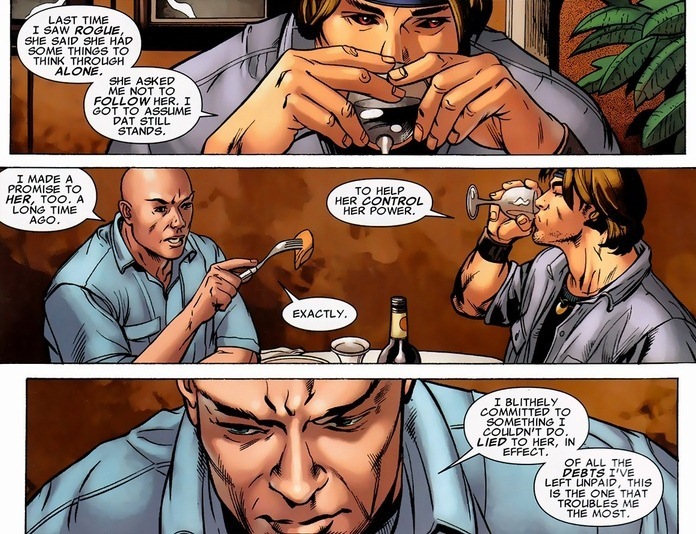 Remember a few weeks ago when we found out that Professor X has always secretly been a jerk? He was subtly influencing, controlling, and erasing people’s memories. 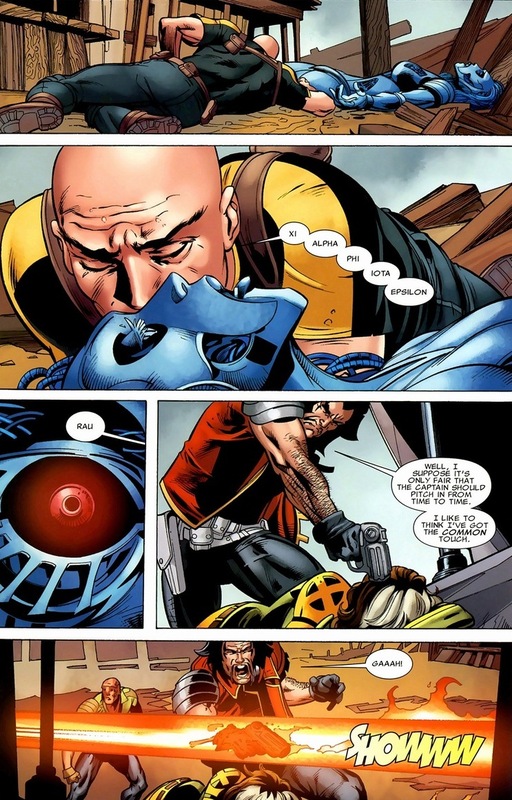 Not nice at all coming from the man who’s the moral compass of the X-Men. But despite all his mistakes, at least he can make up for one of them. 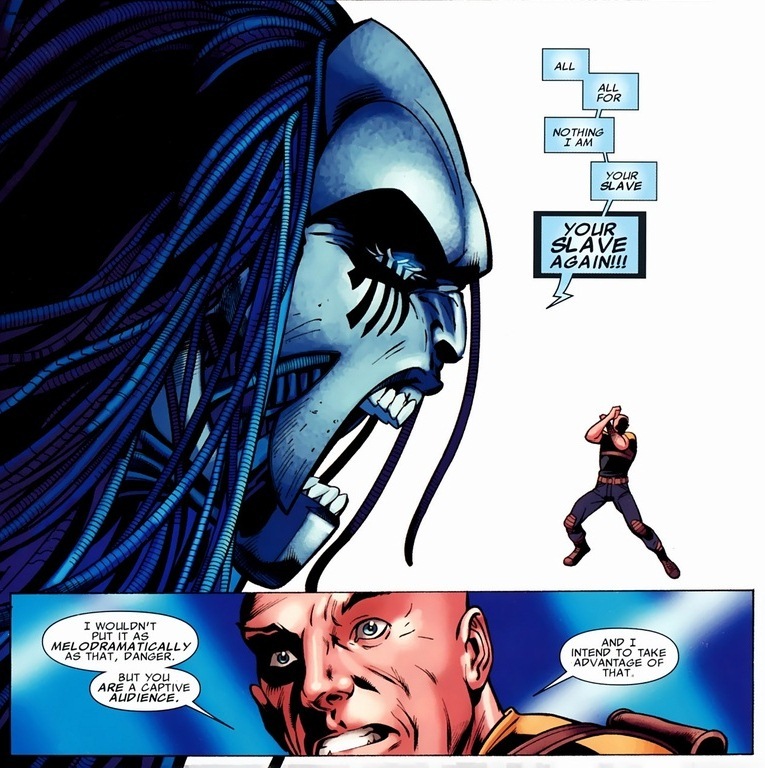 Today, we’re looking at X-Men Legacy #220-224, written by Mike Carey and drawn by Scott Eaton. Gambit’s been traveling with the professor for a few issues now. Being one step from hobo, Gambit doesn’t have a busy schedule. 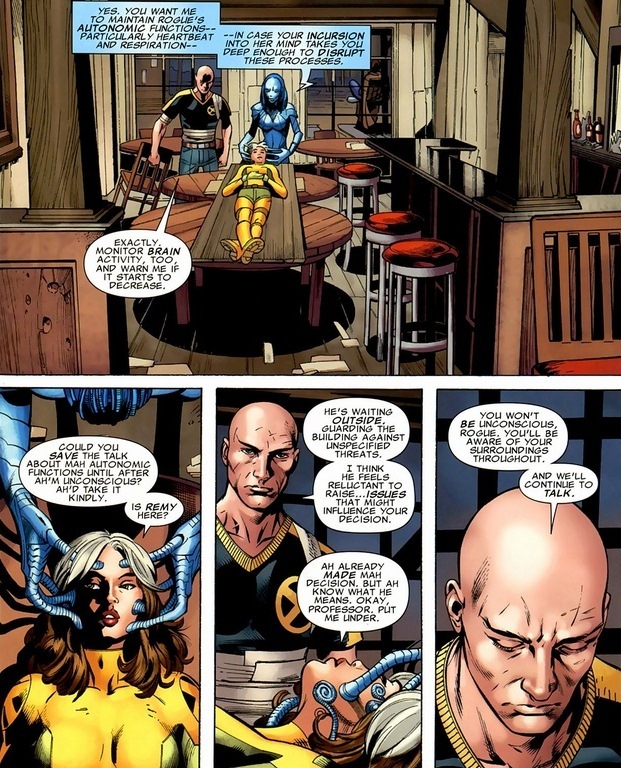 So when Rogue disappeared a while ago, Professor X figured he could kill two birds with one stone. And where is she? 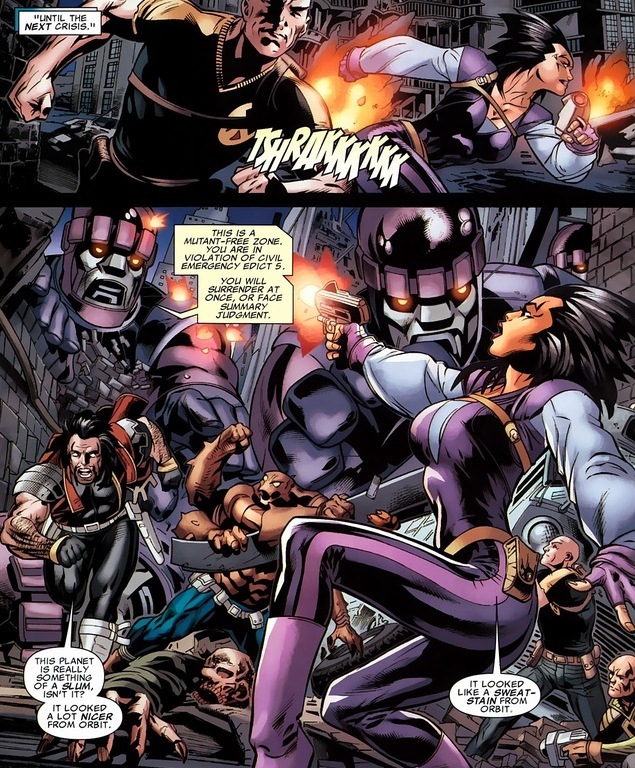 Danger, the actual robotic manifestation of the former X-Men Mansion’s Danger Room and now a powerful supervillain, ambushes poor Rogue while an alien spaceship filled with jolly pirates or something launches a simultaneous attack. Can’t really meditate through this mess. 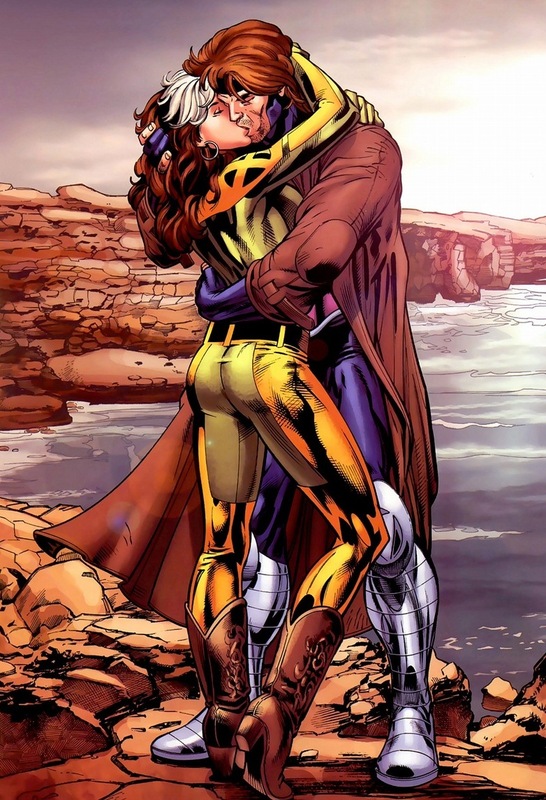 When Professor X and Gambit arrive in the abandoned desert town, they find their memories come to life. I’m no scientist, but whenever that happens, something’s gone terribly wrong. 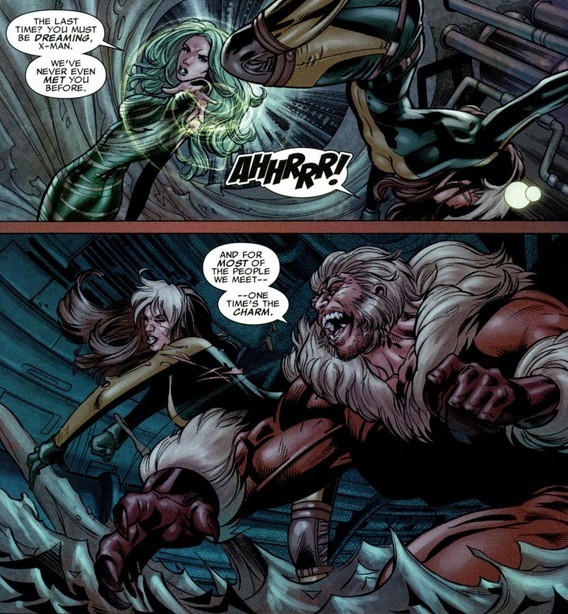 Did you know Professor X has hairy knuckles? You learn new things everyday. 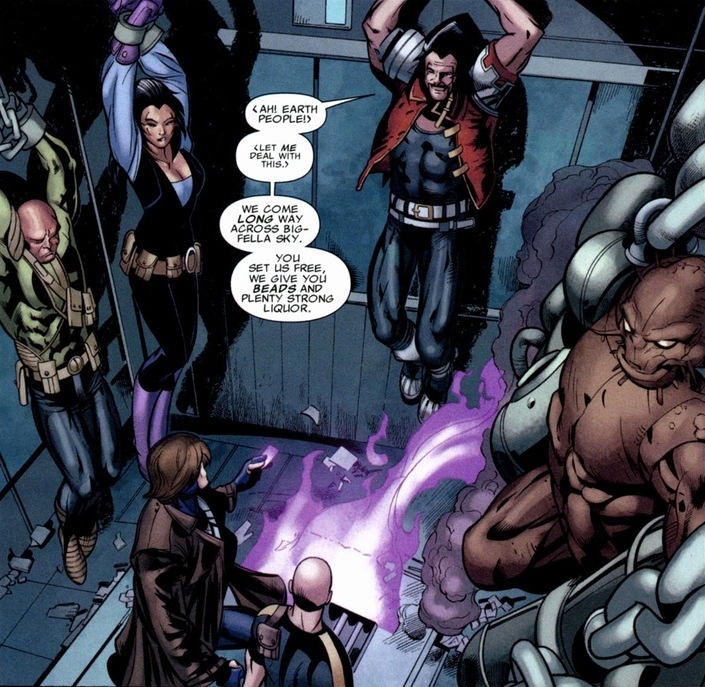 Also I absolutely adore that Gambit’s in full costume while Xavier’s outfit looks like he didn’t get fully changed after leaving the gym. Plus, he has knee pads for whatever possible reason, though if you just miraculously recovered from paralysis, no harm in putting some extra armor on those beautiful legs. As you can guess, the story splits. 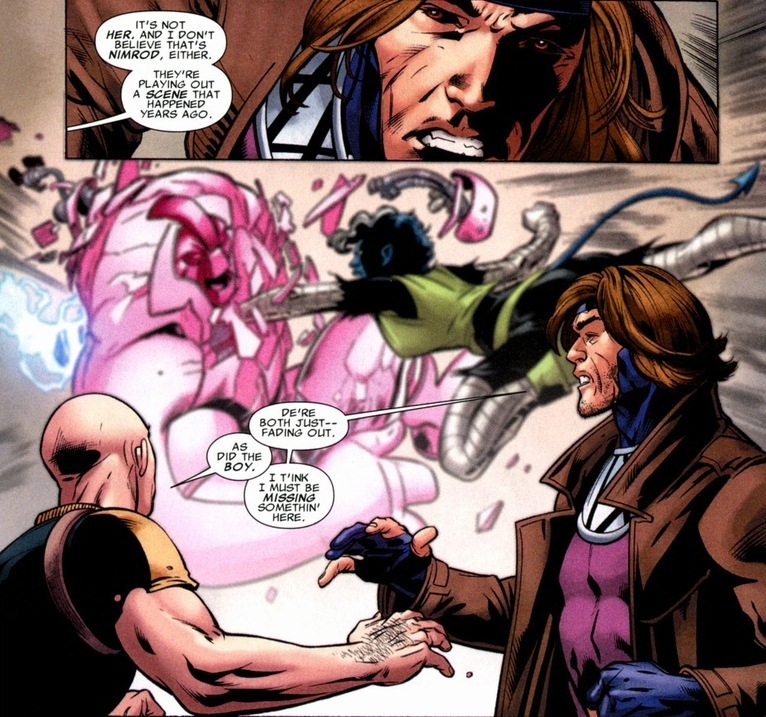 Gambit and Professor X travel through their magical adventure while occasionally the scene shifts back to Rogue and imagination Mystique as they parade around in dangerous memories. First up, let’s get a little through the men’s side. A sentient Danger Room filled with a crapload of training scenarios combined with a brewing vengeance can lead to wacky situations. Luckily, the good professor knows how to solve this problem. Look, flashbacks and reality skewed tends to make me glaze over. As long as stuff doesn’t get super weird, I’ll keep going. Nevermind, I’m skipping to the end. So stuff happens. Eventually, those aliens betray our heroes and take down all three superheroes and Danger. 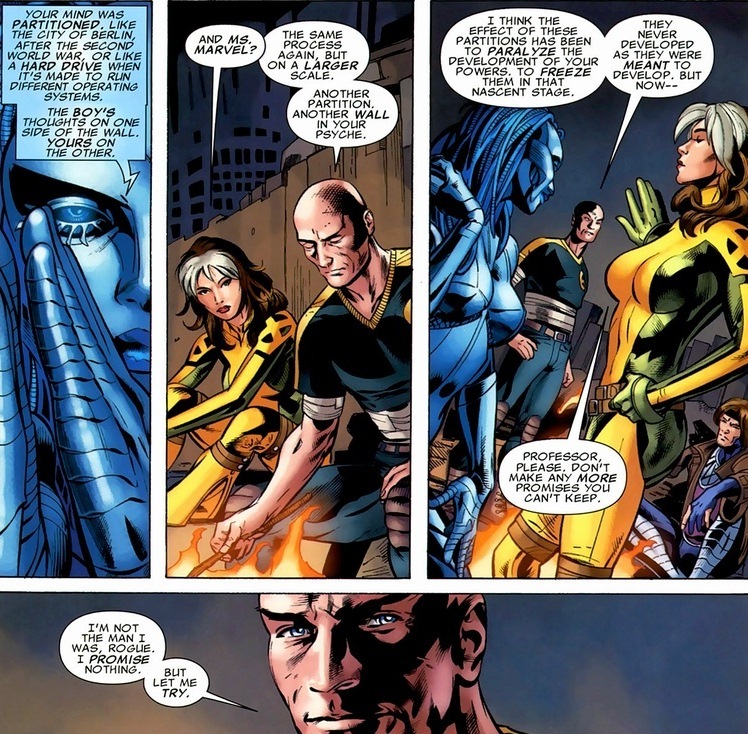 Right as the situation becomes its bleakest, Professor X plays his trump card. Turns out being the founder of the X-Men gave him some special privileges, like Danger Room override codes. Victory! As delightful as a march through the fantasy land can be, that’s not enough for me to write an article about. 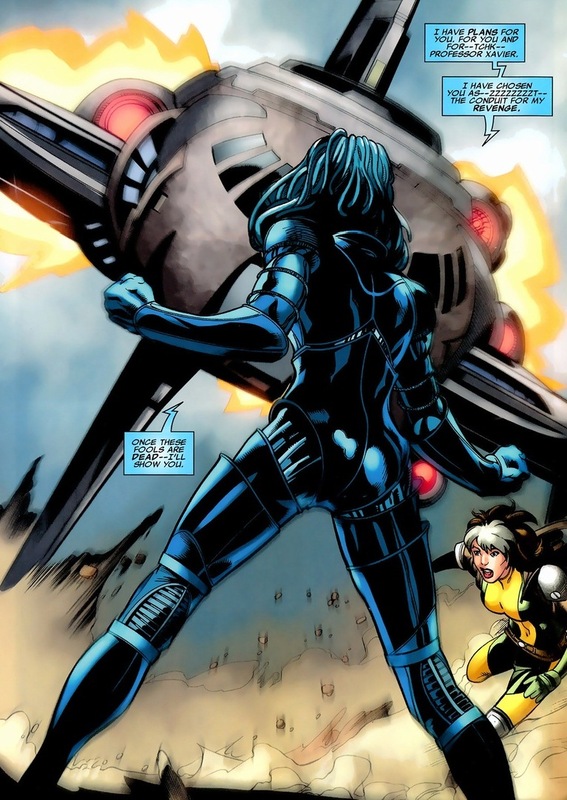 With Rogue found, Professor X has one final bit of redemption to do. 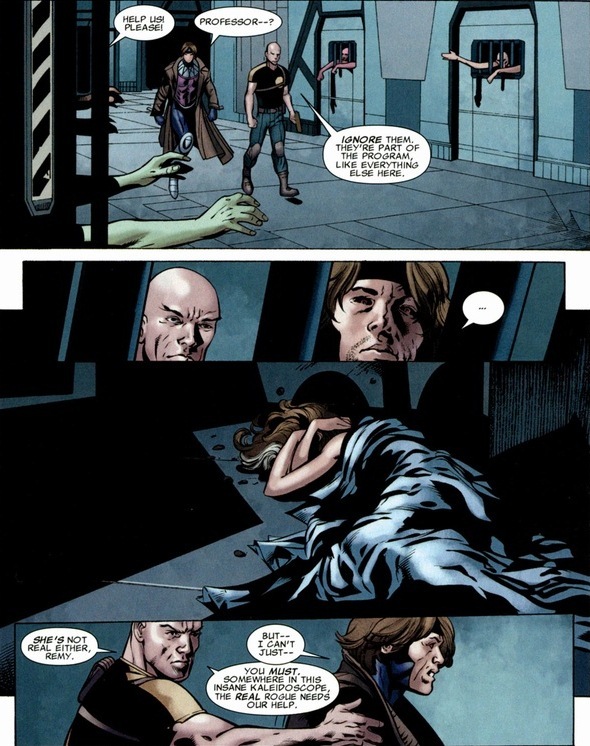 Y’see, to get Rogue to join the X-Men in the first place, Xavier lied and told Rogue he could cure her (that power that drains life from everyone she touches). He could not. He knew he could not. Now with Danger’s help, Professor X found the solution. Only a decade or two of emotional misery later. 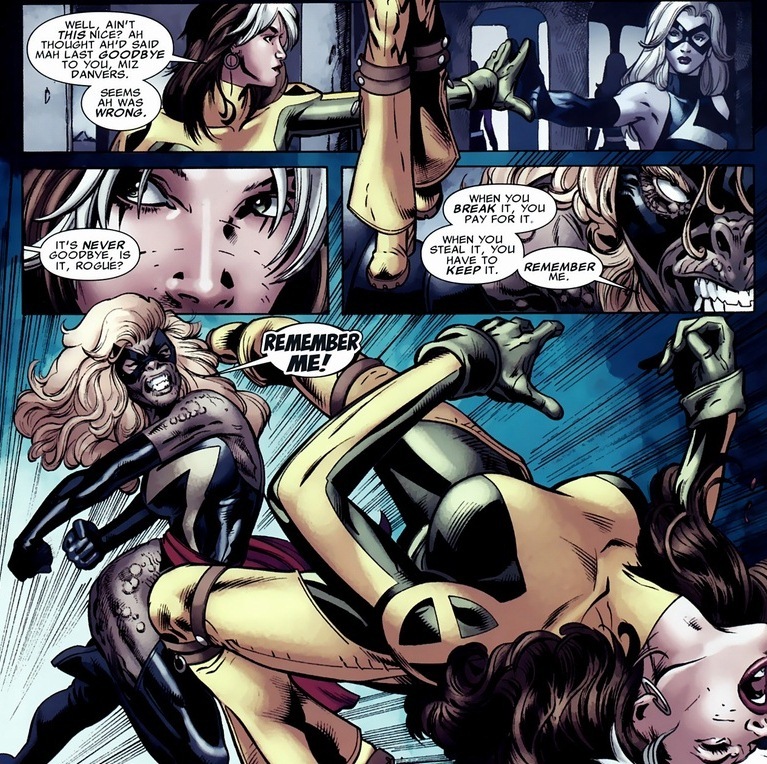 Since mutant powers activate during adolescence, if a horrible event (like kissing a boy into a coma) occurred during activation, a psychological barrier could prevent the mutant from complete mastery of his or her powers. Think of it like burying trauma to prevent a psychological breakdown. 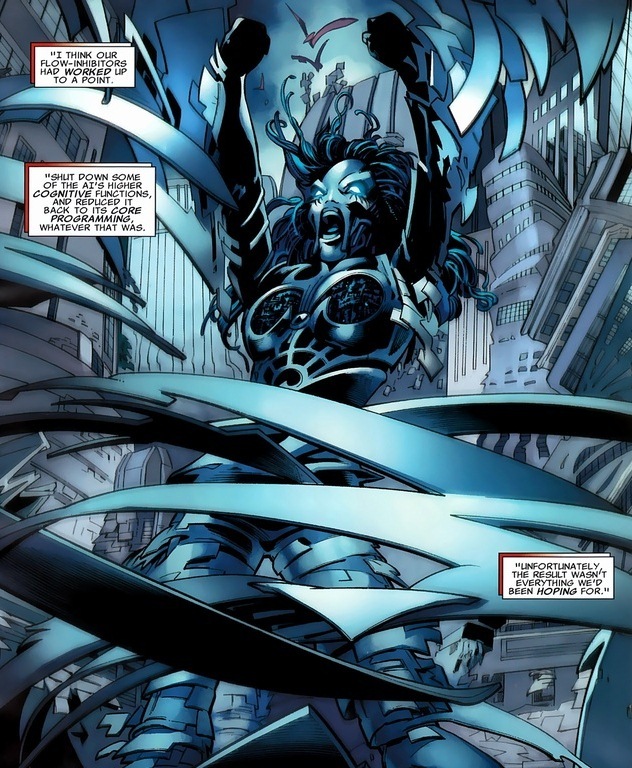 Well, Professor X believes he can psychically enter her mind and destroy the traumatic barrier that prevents Rogue from fully controlling her powers. I have to be honest with you; science goes over my head. Too much complicated terminology and biological processes. 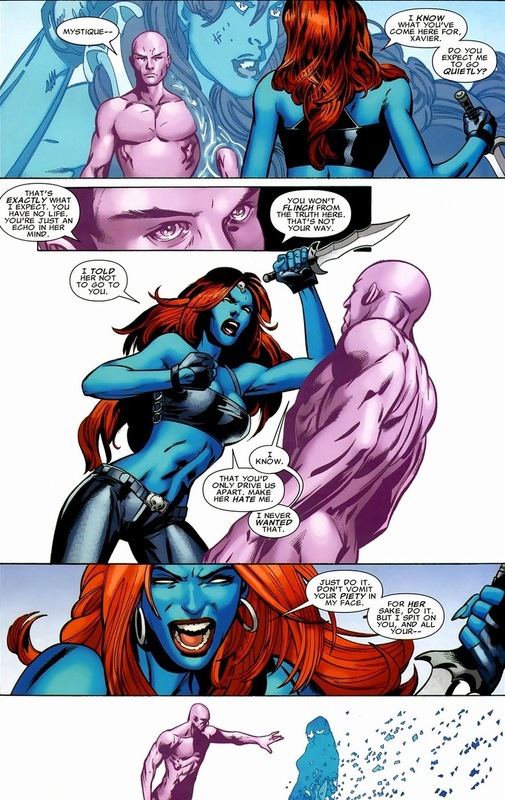 But I can say without a doubt in my mind, that a hypnosis/therapy combination does not, and will not, ever involve a doctor fighting a knife-wielding supervillain while purple and naked. 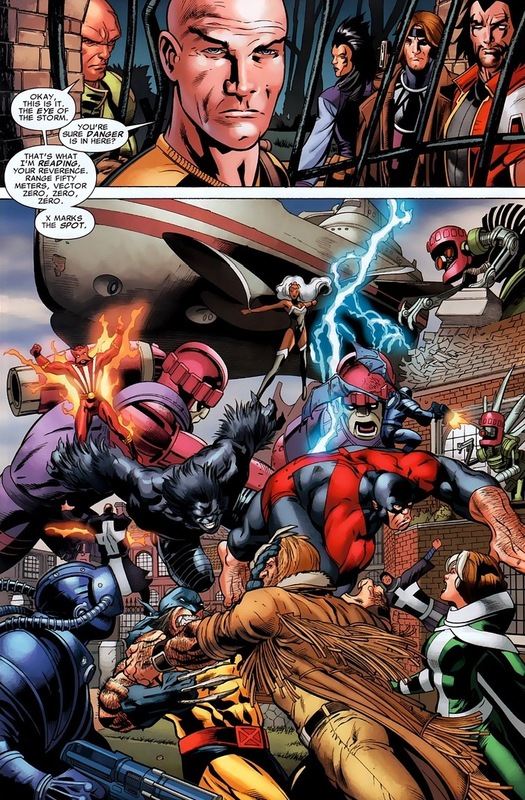 I just think the scene would still be just as awesome if Professor X wore underwear. 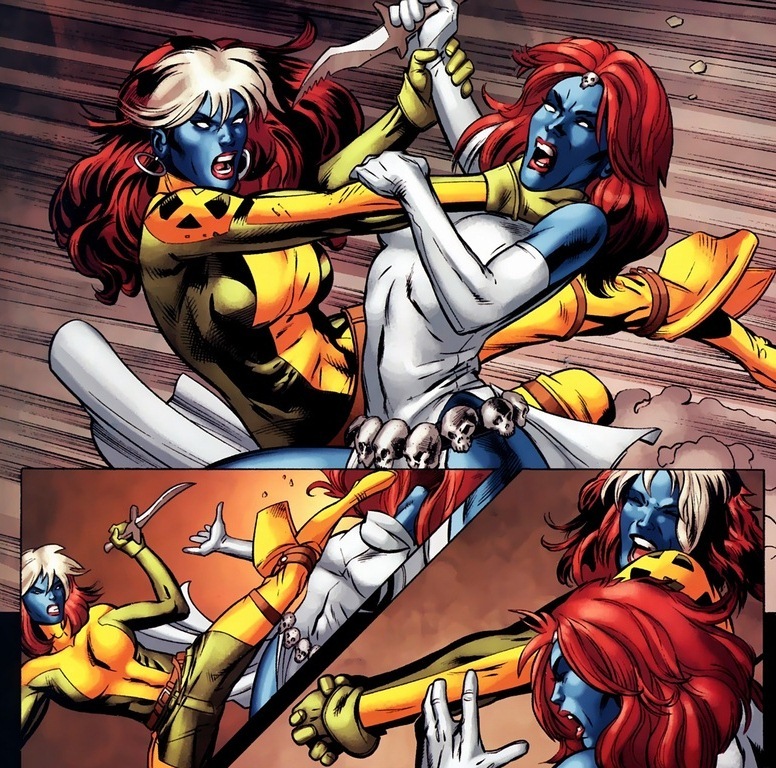 Still, with the fake Mystique purged from Rogue’s psyche, has she overcome her instinctual powers and transformed them into the on-off switch she always dreamed? Good enough answer, right? 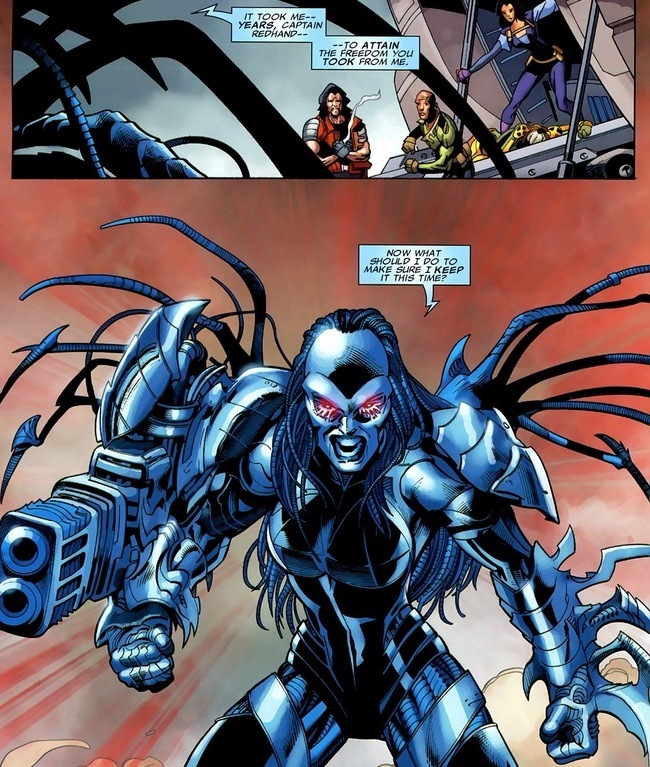 Rogue can now touch people with her bare skin with zero life draining. How exciting! Next up, hair dye? Of course I didn’t consider expected titles like The Dark Knight Returns or Batman Year One, because they are more graphic novels than story arcs. What do you think about it? You have good taste. I wish I was as knowledgeable about older comics as you are, but I’m going to definitely check some of those you listed out. Oh, and Batman: The Long Halloween is absolutely spectacular. 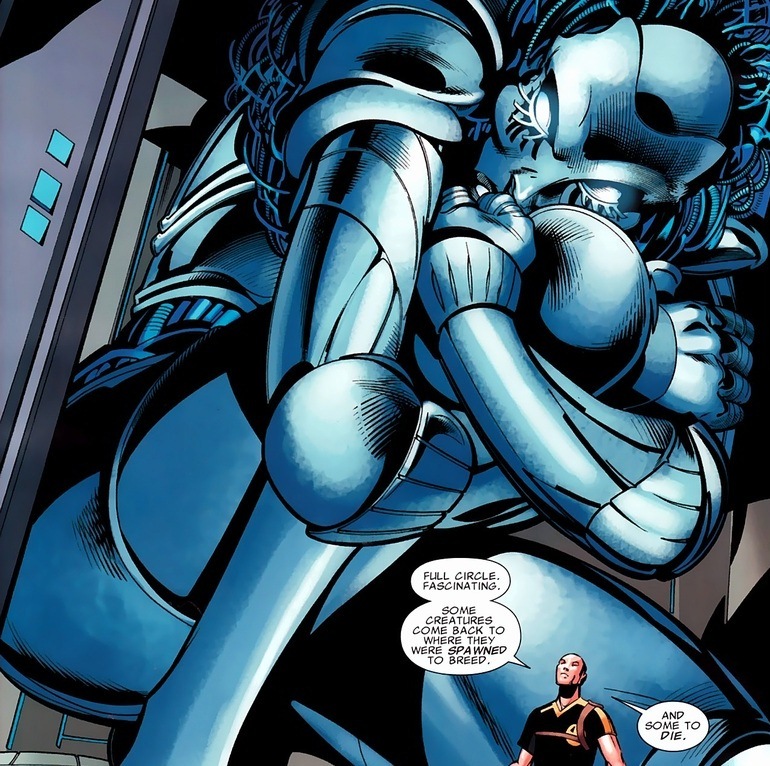 By the way, speaking of Titans, I’m sort of trying to get into them, any recommendations besides the Geoff Johns stuff?